Those of you that follow me over on Instagram will have seen that I was recently lucky enough to inherit my Great Grandmothers Singer 201k. Up until last week I have been doing all my sewing on my Grandmothers Singer 99k that I was l given a few years ago, and although sewing on a straight stitch machine can be a little limiting at times it has forced me to perfect skills that I probably would have avoided if there had been other options available. Whilst researching my 201 I was incredibly excited to discover the multitude of attachments available for these old beauties, and have been able to purchace almost all of the available feet as well as a zigzagger and buttonholer in amazing condition off some wonderful sellers on Etsy. I am so excited to get to know my new machine, with its larger size, ability to drop it’s feed dogs for embroidery, darning and free motion quilting, as well as all it’s amazing new attachments! There is something truly special about using a machine with so much history, and I am pleased to report that since it’s service this old Lady is running as smoothly and quietly as the day it was purchased, not too bad for a 65 year old machine! Thank you so much! I always admired them growing up, it’s just such a privilege to call them mine. 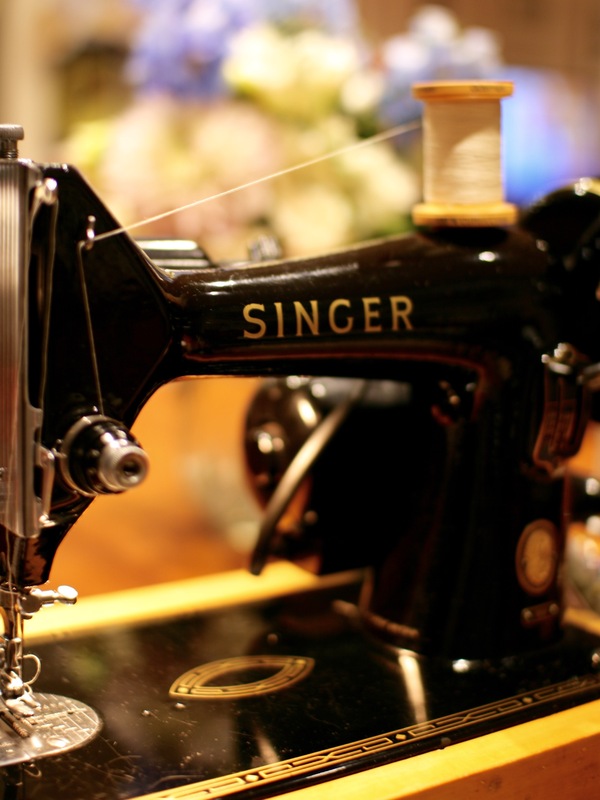 What an incredible old sewing machine! I have my mother’s old Singer which she bought after leaving the army…1945 or 1946 perhaps? I learned to sew on it years later. Thank you so much! I’m actually sewing on her at the moment, I just love the history of these old Singers! If only they could talk! My great grandfather bought this for my great grandmother after she had to leave her old machine behind when they moved across the globe to Australia after the war. To think it has made outfits for 5 generations always makes me smile!